When you’re an avid camper, you begin showing symptoms that any camping addict displays. That’s not necessarily a bad thing. Camping is an enjoyable way to spend your free time, and it connects you with nature, as well. And, if you’re going to have some sort of addiction, it may as well be camping in the great outdoors. 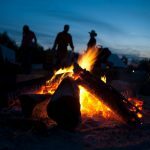 If you’re still in denial about it, here are eight signs to identify whether you’re addicted to camping or not. Not a lot of people can say they’ve mastered the art of cooking over a campfire. When you’re addicted to camping, there’s a good chance that campfire cooking is something you’re very skilled at. 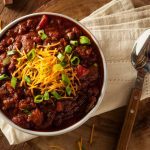 You probably even know tons of recipes that only need a Dutch oven or pot. You don’t always need a portable stove – all you need is a good fire. When you thoroughly enjoy something, you want to share it with the people you love. Camping is just one of those things where you can’t truly appreciate it without experiencing it for yourself. No amount of camping stories compares to the real thing. So, naturally, you’d like to take your significant other, family or friends camping, too. It won’t be surprising at all if you’ve already had a number of dates or holidays at campsites. After all, you’re addicted to it. This one can be a bit of a stretch since there are plenty of recreational hammocks that people hang in their backyards. However, a hammock adds a certain indescribable element to your camping experience. If you own a camping hammock, then it’s pretty obvious that you’re not new to the activity. Sleeping bags come in a multitude of sizes and types. If you’re the kind of person who owns a sleeping bag for every possible temperature, then you can stop denying your addiction to camping. It’s apparent you go camping every season, and you know what kind of sleeping bag to pack for each one. It’s nothing to be ashamed of. In fact, other campers may even envy your collection. Camping gear can take up a lot of space, so there’s a good chance you don’t even have a place to park your car. If you’ve converted your garage into a storage area for camping gear, then there’s no contest that you’re well beyond a casual camper. You may even find yourself rearranging your whole garage just to make more room for new gear. You might be one of those campers who prefer to have their camping clothes separate from the rest, and there’s nothing wrong with that. It can be a pain to rummage through all your clothes just to find your base layers. You can’t just pack your things and go in one fell swoop. 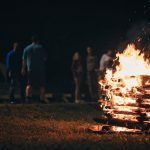 However, if you’ve got a closet dedicated specifically to just your camping clothes, then it’ll be much easier for you and you are probably addicted to camping. It’s a telltale sign that you’re addicted to camping when you’ve got a favourite campsite. You’ve probably already tried every campsite from here to Timbuktu, and you’ve decided on the best one. But, simply having a favourite one isn’t enough. You even know when you must book it, and you have an alarm set in advance to boot. 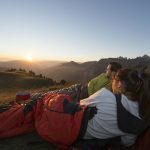 When you get camping-related presents on your birthday or the holidays, it’s evident that you’re someone who goes camping more than once a year. Your friends and family know you best, and they always come through with the camping goodies they give you. You get all sorts of camping gear as gifts – and you love them all, too. If you’re still reading this article, chances are high that you’re exhibiting at least one or two symptoms listed above. As long as it doesn’t have any negative effects on you and your loved ones, you can go camping as much as you want. Being addicted to camping doesn’t require going to rehab or attending campers anonymous meetings; it just means you love the thrill and experience like me.